Next to the seven different laptops with Ubuntu Linux on board, Dell also has a 27-inch all-in-one desktop PC that runs this well-known distro. The Kaby Lake-powered models come with Ubuntu 16.04 LTS, while their Skylake-driven siblings run Ubuntu 14.04 LTS. Dell launched its Project Sputnik five years ago, aiming to expand the tiny slice of the OS market controlled by Ubuntu Linux. Now, there are still just a few popular brands that offer high-end notebooks loaded with Ubuntu Linux, but Dell has no less than seven different models in its portfolio, as well as a 27-inch AiO that comes with the same operating system. 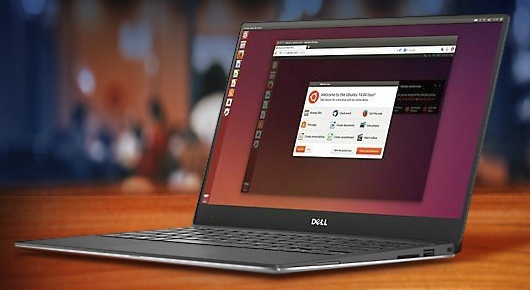 Buying laptops without an operating system and installing a Linux distro is always an option, but Dell's machines mentioned above have been tested to work properly with Ubuntu. When using a portable built with Windows in mind, for example, some functional keys might not work as intended.